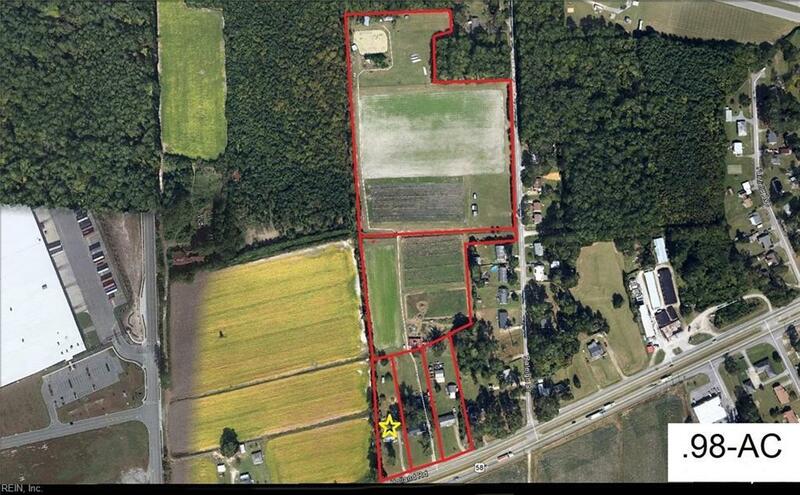 2216 Holland Rd, Suffolk, VA 23434 (#10134238) :: Abbitt Realty Co.
.98 ACRES PRIME COMMERICAL ROAD FRONTAGE LOCATED NEXT TO CENTERPOINT INTERMODAL TRUCK TERMINAL SITE. GREAT OPPORTUNITY FOR DEVELOPMENT IN A GROWING COMMERICAL CORRIDOR NEXT TO WHAT WILL BE ONE OF THE LARGEST TRUCK TERMINALS ON THE EAST COAST. PROPERTY IS LOCATED ON THE EAST BOUNDARY OF THE TERMINAL SITE. ONE OF THE 5 AVAILABLE PARCELS ADDING UP TO 16.60 ACRES. SEE OTHER PARCELS AVAILABLE AT THIS LOCATION. PRICE REFLECTS VALUE OF THE LAND.